900mm x 900mm tiles with a hidden click together system this mat can make all shapes and sizes and can wind around your production line. 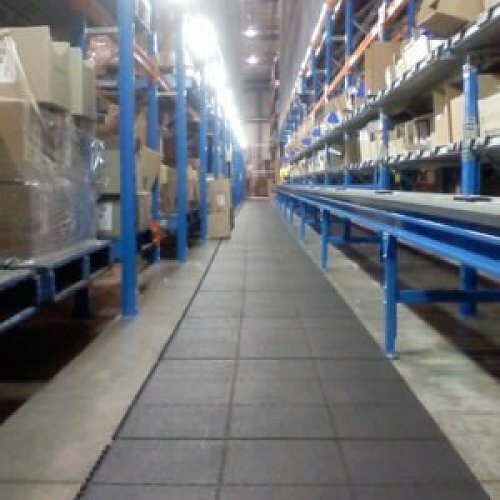 If solid isn’t what you are looking for go to 24/Seven Natural Rubber with Holes. Each module is 16mm thick for the comfort of your employees. 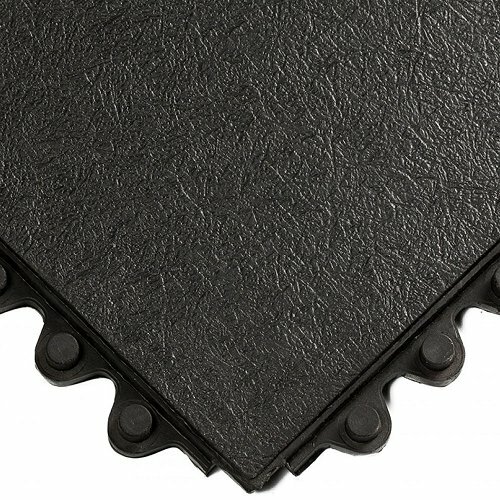 This matting comes with ramps for the edging so there is no chance of a slip hazard and the mats are heavy so movement is not a problem either. 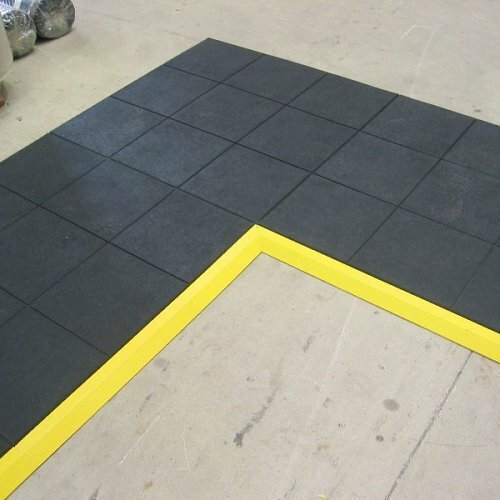 Ramps for this product come in Black or Yellow. Easily washable with a mop over the tiles this is great for longer lengths of anti-fatigue matting.